‘Innovative – flexible - sustainable - student centred - integrated - impact – implementable’; these words were the brief for the University Campus Suffolk (now Suffolk University), which was created to improve accessibility to tertiary education within Suffolk, and was a key part of the new ‘Education Quarter’ in Ipswich. 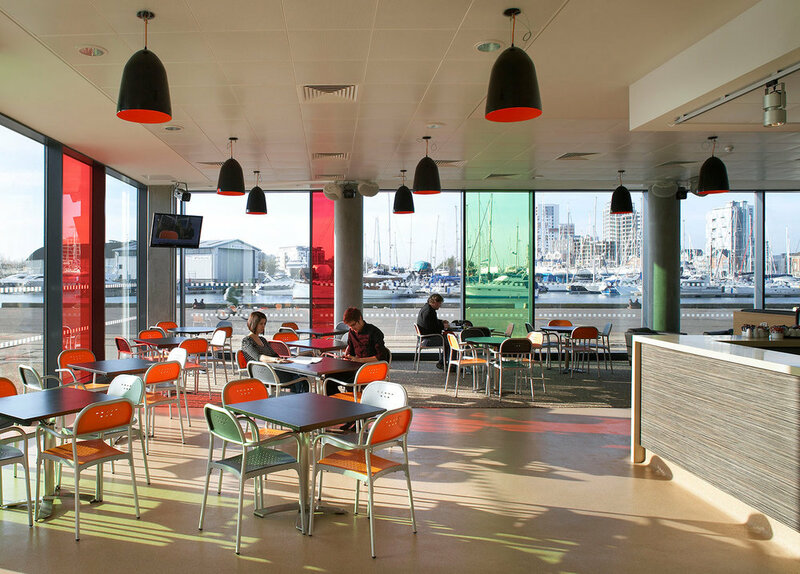 The project was a joint initiative between the University of East Anglia and the University of Essex, and aimed to improve accessibility to tertiary education within Suffolk by the creation of a new ‘Education Quarter’ in the centre of Ipswich which included the relocation of the existing FE college and the creation of a ‘hub’ facility for University Campus Suffolk. 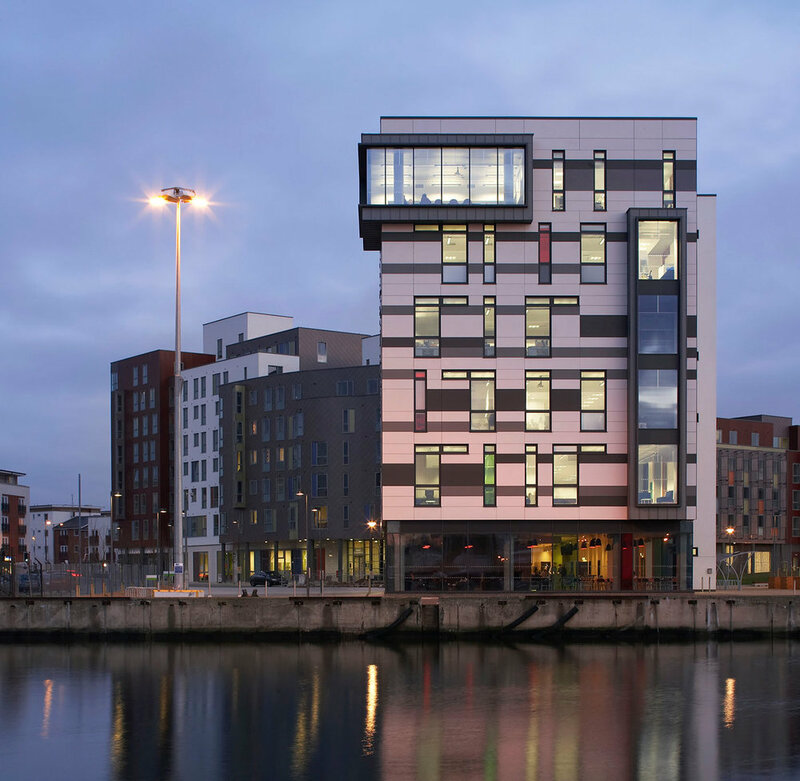 These high quality landmark buildings on the waterfront set the standards for the subsequent university phases. 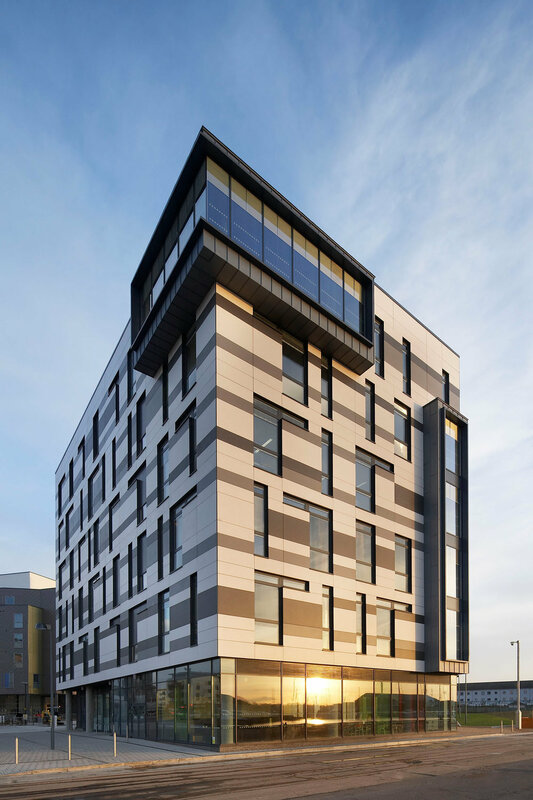 The University set out to provide environmentally exemplar buildings that would underpin their commitment to offer an integrated student centred sustainable campus of the future. The design team were appointed for Phase 1 in May 2006, and delivered the masterplan and first phase building in September 2008. For the second phase ‘James Hehir’ building in 2010, the design team were appointed in February 2008, and the building completed in December 2010. The second phase scheme received planning approval for a total of 15,000m2 of accommodation, and was divided into 3 modules for implementation. 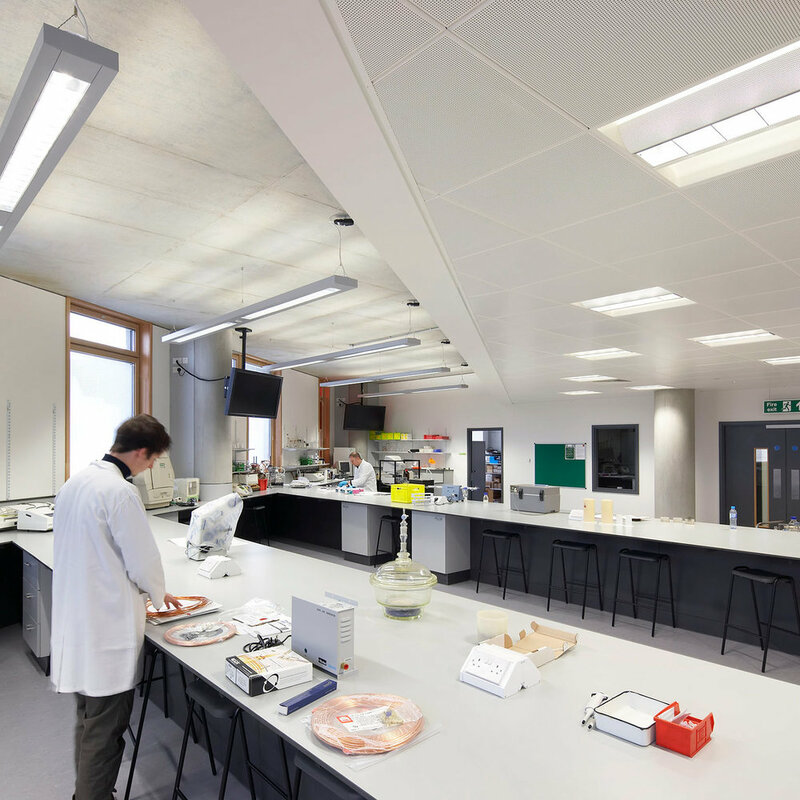 The 4,000m2 James Hehir building was the first module to be built of the second phase, comprising highly technical laboratory and research space, in combination with informal learning and teaching areas, as well as a full catering kitchen and student nightclub. 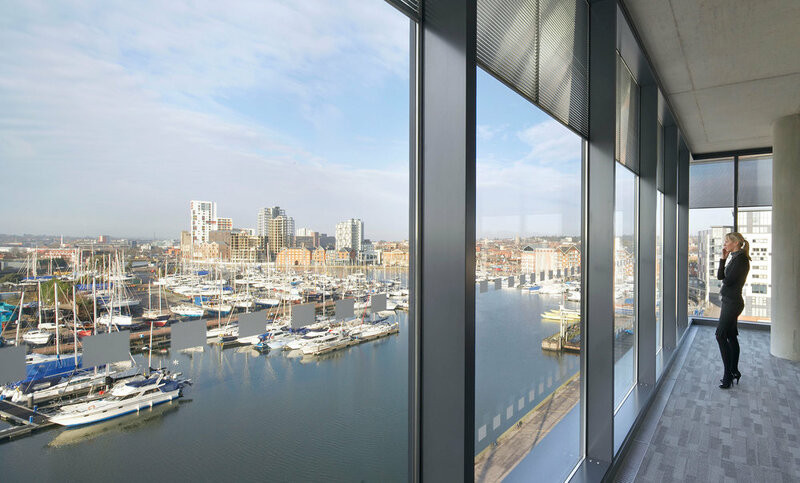 Both projects were rated as ‘Excellent’ under the BREEAM system (the highest rating available at the time of construction).